Neolithic people habitually transported stones weighing from 5 to 50 tons over several kilometers and stood them upright. At Carnac more than 3,000 stones were set in a series of lines spanning over three kilometers. Le Menec West runs straight for about 500 meters. These “primitive” people are understood to have been in the earliest stages of peasant living; stone, wood, and bone were their principal materials, and pots rendered from baked sea mud were their luxury culinary items. If life was short and mere survival a struggle, what could have driven them to waste precious time moving rocks? Tens of thousands of hours of labor were dedicated to creating these lines at Carnac. Today, their purpose is variously suggested to have been ceremonial, processional, devotional, astronomical, or funereal, yet none of these fully explain the effort. Is it credible that ceremonies, rituals, or festivals provide an explanation for tens of thousands of standing stones and millions of tons of earth moved in Europe? What degree of obsession ate into the heart of these Neolithic people and so overwhelmed them, generation after generation, with the need to shift vast rocks into rings, rows, dolmens, and monoliths, or to pile up great mounds and earth banks? Nobody has ever satisfactorily explained these things. The present-day interpretation has determined that these monuments were created with cultish rituals of varying kinds in mind. It is a best guess, and it may be true. But it is not what the stones explicitly communicate. The Carnac stones are set in lines that stretch as far as the eye can see--and farther. Like an army battling with time itself, rank upon rank of these stones are merely the survivors in a project of vast proportions. It is obsessive line making, not in any abstract way, but physically, on the ground itself. How else could they describe geometry in the landscape more clearly? Although the stone lines meander there is a clear visible correlation between the ancient stone rows and the lines extending to the world’s three highest mountain summits. But the evidence that these lines were purposefully directed at these mountains does not rest on the visible correlation. The common Neolithic code appears clearly through measurement. The bearing from the summit of Mount Everest to Le Menec is 314.0 degrees. The bearing from the summit of Mount Kanchenjunga to Le Menec is 314.4 degrees. The mean bearing from these two mountains to Le Menec is therefore 314.2 degrees. The code of practice found among the Neolithic circle builders elsewhere in Europe echoes resoundingly at Carnac with these pi measurements. The specific digits recognized from Orkney to Msoura are emphatically repeated at Carnac, and the lines are still visible on the ground. There they remain, witness to an unseen aspect of our ancient history. Carnac is a location chosen by people who knew exactly where they were. The monument introduces an amazing global pattern, an insight into the foundations supporting the ancient worldview of an ordered earth. They communicate this view through measurement. To the east lie the Himalayas; what lies to the west? North America: Le Menec to Mount McKinley’s summit is 4,002 nautical miles. South America: Le Menec to Mount Aconcagua’s summit is 6,000 nautical miles. Neolithic builders were sticklers for whole number measurements. The highest peak in the Americas, Mount Aconcagua, is signified by such a measurement, just as the highest mountains in Asia are signified by alignment. But the remarkably calculated nature of this Neolithic work is found by joining the lines. When lines to the American and Asian summits are drawn from Carnac, the angle between them is 161.8 degrees. The phi digit angle in figure 8.3 is created by two lines starting at the Le Menec stone circle. The first line is 6,000 nautical miles long and extends to the summit of Mount Aconcagua. The second line follows the stone rows and has the mean bearing of lines extended to the three highest summits in the world. The angle between the lines is 161.8 degrees rounded to one decimal place. The scale of Carnac reflects its global reach. It is big because it needs to be. Carnac has identified the highest summits in Asia by alignment and pi digit bearings and the highest summit in the Americas, Aconcagua, with a phi digit angle and 6,000 nautical mile distance. The measured order on the veins of a leaf or the scales of a fish comes as little surprise, yet the conceptual leap toward recognizing something similar on the surface of the earth is clearly enormous. But the evidence from early recorded history is also clear on this point: there was no great conceptual leap for these people. From the dawn of history it was understood that the earth was ordered. Be it leaf, fish, or landscape, nature was as one. The genius of the monument builders was then to discover a location that illustrated, or demonstrated, the true nature of the ordered earth. The natural pattern is found through alignment and through sexagesimal-based measurement, and at its foundation are the digits 3,142 and 1,618. These digits have already appeared in measurements from Carnac, but like the other monument locations Carnac is at a focal point from which measurements to topographical extremes repeatedly produce alignment and pi and phi digit measurements. Locations such as this are not found by accident. What further insight can be gained from the Neolithic people and why the location of Carnac was significant to them? Mark Vidler is an artist, designer, and carpenter who studied at the Hornsey School of Art, the Polytechnic of Central London, and Bath Academy. 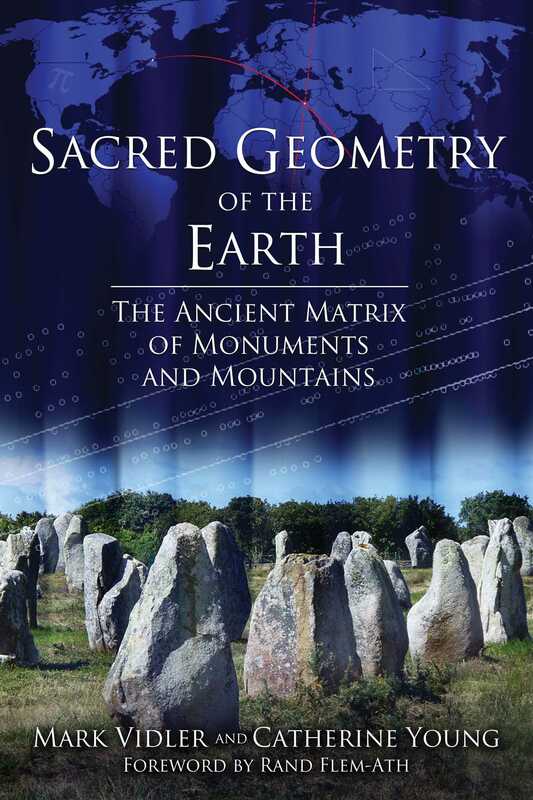 The author of The Star Mirror, he has studied early history and the stellar alignments of ancient monuments since 1994. He lives in Bradford-on-Avon, Wiltshire, U.K.
Catherine Young spent her childhood in Africa, Italy, and Austria before graduating from Bristol University in England. She teaches English at a school in Wiltshire and lives in Bradford-on-Avon, Wiltshire, U.K.